Originally published in the Commemorative Issue of SERVAMUS, January 1997, Vol 90 Issue 1. It is not often that one sees a mounted policeman patrolling the streets nowadays - in fact, when one meets such a policeman, one tends to stare and children get so excited they forget what they are doing! 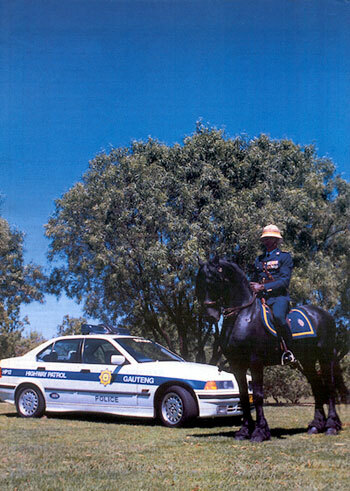 But when the South African Police Force was established in 1913, this was the main means of transport and a mounted policeman was as common as computers are today. But let's start at the beginning. 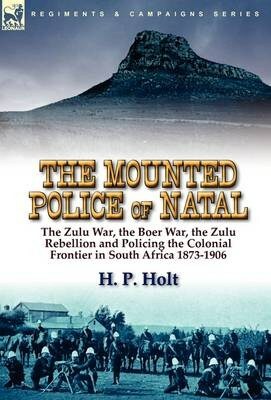 During 1855, the Colonial Government decided to consolidate all the small units of the platteland to form the Frontier Armed and Mounted Police (FAMP). This was the first time the Mounted Police were officially named and the purpose of the FAMP was to combat the theft of cattle and see to other police business. Due to problems on the borders of the Colony, the FAMP never really got around to what they were supposed to do. 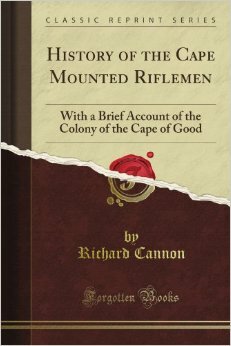 In 1878 this force was disbanded, regrouped and renamed as the Cape Mounted Riflemen. 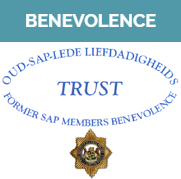 It is only in 1882 that a proper Police Force was established under the name Cape Police, which was also incorporated in the Cape Mounted Riflemen in 1904. The men serving in these forces were dependent on the horse as a means of getting around. It is therefore obvious that when the SA Police Force was established in 1913, it was initially almost entirely dependent on animal transport, either by horse or camel. 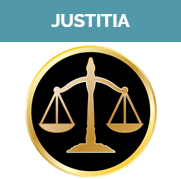 The latter was used exclusively in desert and semi-desert areas such as the Kalahari, Gordonia, Kuruman, Vryburg, Namaqualand and adjacent districts. Horses, on the contrary, were used throughout the country and proved equally effective both in rural districts and in towns and cities. 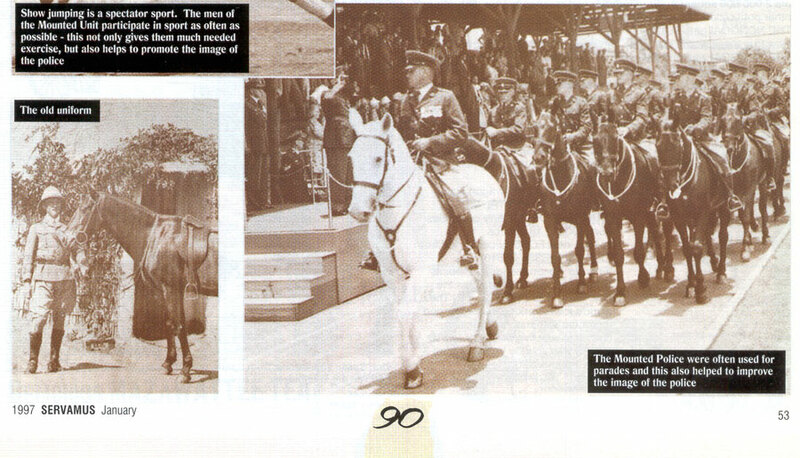 Until 1915 even district commandants used to travel in and conduct inspections by horsecart. In 1915 the Police Force had only 12 motor vehicles. The 56 motorcycles were mainly used by the detectives and were considered to be of inestimable value because speed is of the essence in solving crime. ​By 1920 the use of motorized trans port had increased considerably, but it was still the horses (3 679 of them), mules(527 ), donkeys(96), oxen(37) and camels(84) that provided the moving muscle. Mules, donkeys and oxen were used for "hard labour" while horses and camels provided transport for the serving police officer. The many animals still owned by the Police Force in 1920 clearly indicated that mechanized transport would not soon be made available for general use. 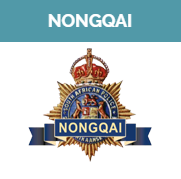 The first mention made in the Nongqai of the Mounted Police, can be found in the May 1920 issue of the magazine. 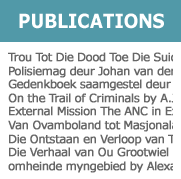 The article, contributed by an unknown writer, looks back on the SAMR (South African Mounted Riflemen) as a separate entity for policing a certain district and the fact that they ceased to exist to be later incorporated in the SA Police Force. The whole trend of the article takes one back to an era when things were very different from now. I can just imagine how it was during those years: The police officer and his horse patrolling the streets of either a city such as Cape Town or on visit to different farms in the district. When he arrived at a farm, he was cordially invited for a cup of boeretroos and then problems and other important matters were discussed. The police officer was also the one who brought the news of the day and tried to help the farmer with advice. It often happened that these police officers had to tend to sick animals because they had a vast knowledge of animal sicknesses. And so he would visit all the farmers in the district and know all that was going on – it comes to mind that community policing is not such a new concept! By 1937 the SA Police Force had expanded to such an extent that horses had become essential and demand far exceeded supply. While speaking of demand, it must be remembered that for operational purposes, only stallions can be used because of the obvious problems that a mare can cause when visiting farms where there are other stallions ... It was therefore decided to lease a breeding farm, Grootdam, from De Beers Mining Company and the farm was stocked with 1 100 horses. Shortly afterwards Kamfersdam, another farm in the Kimberley district, was also acquired where three-year old geldings were sent to be broken in by the rough riders. These rough riders were a respected lot of daring men who were not afraid of any horse or its ability to throw a man sky high. Names that will never be forgotten are those of Choppy Williams, Frank Pell, George Bestford (later Commanding Officer of the College in Pretoria), Sgt Kotze (also a later Commanding Officer of the College in Pretoria) and Sgt Rootman. By the 1950s equestrian transport was largely replaced by mechanical transport. Consequently the number of horses was drastically reduced. At one time the Force had 1290 horses but these were systematically reduced to 660 and finally the current 200. The breeding farms were also disposed of after ten years because it wasn't necessary to breed horses anymore. 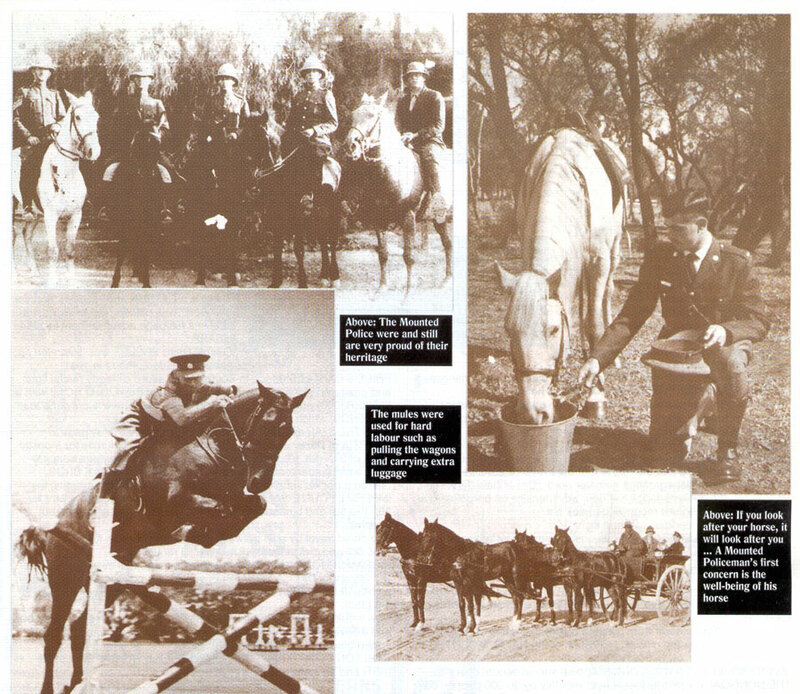 The "horse Mecca" of the Police moved to the College in Pretoria (there were always horses at the College but no breeding was done) and to this day the main offices of the Mounted Police remain at the Police College in Pretoria. Until about 1990 the horses were only used to train students to international equestrian standards. The horses and their riders were then used in ceremonial parades (such as the opening of Parliament), gymkhanas and show-jumping events. 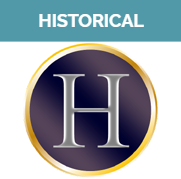 But history usually repeats itself - say the historians - and since 1990 the police have realized that horses can be used for far more than showing off expertise and building a better image. Stock Theft Units were established and they use 110 horses for patrolling mountainous areas. Horses are also used nowadays for visible policing in Pretoria, Pietersburg, Middelburg, Pietermaritzburg and other venues such as show grounds. The horse is ideal to use for patrol duty because the mounted police officer has a much higher vantage point than the man on foot or the one in a car. ​The Mounted Unit's base at the SAPS College gives an impression of absolute tranquillity and peace. Horses are running freely in camps and the stables are a sight from another world. But all is not quiet ... a lot of hard work is done here! The horses are expertly cared for and breeding also takes place. The future certainly seems bright for the Mounted Unit because they definitely have a role to play in the South African Police Service. Talk about community policing - ever seen a child's face when he spots a friendly policeman on a horse? January 1997, Vol 90 Issue 1.